Barbie FS az Winx Club. . HD Wallpaper and background images in the Barbie films club tagged: barbie secret fairy fan art. OMK OMK Awesome! The skirt is kinda too small but great! Really, Barbiella? OMK! I thought that it's the same as Barbie has; but with proportions of Winx girlz, it's simply long! Yes. If the skirt were shorter it would be more Winx-like. Oh, and remember their waists? Lol yes! "Big eyes, long legs, horrible waists- what did Straffi smoke? ", as I read somewhere, XD. Their waists make the whole body look like an hourglass. And in some scenes they look totally anorexic. But I still love them! And Mr. Straffi too! Except when he killed Nabu. Yeah. You'd better resurrect him, Mr. S.
So cool! 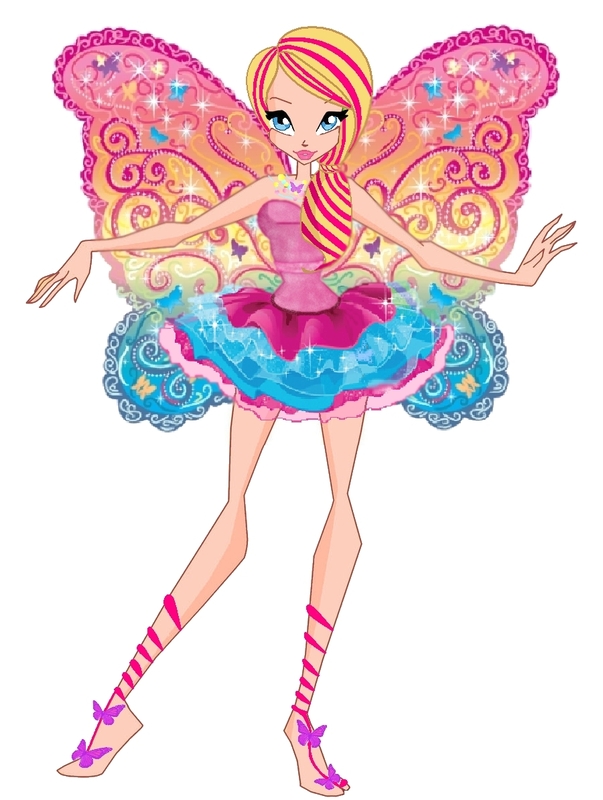 I may draw some Barbie fanarts in Winx style as well. BTW I'm pretty sure Iginio S. will resurrect Nabu, it'd be just too nice to leave him dead (XD no offense, people).